Ehmonie is an accomplished marketing, communications and public relations professional with over a decade of experience. Ehmonie currently is a senior writer/communications strategist at Jobs With Justice where she develops and edits a broad range of compelling content, driving narratives for key issues. Before joining Jobs With Justice, Ehmonie was a marketing director at Nexus Media Partners. In this role, she created integrated business and marketing plans, and developed long- and short-term marketing strategies for the startup film management firm. Previously, Ehmonie worked as a corporate marketing & communications consultant at Assurant, providing senior level communications counsel to corporate clients. 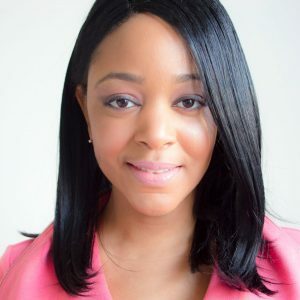 Ehmonie holds a Master of Business Administration degree in marketing & entrepreneurship, and a Master of Science degree in media management, both from Syracuse University. She also holds a Bachelor of Science degree in natural science from the University of Pittsburgh. After having been introduced to improv at Magnet Theater and DC Improv, Ehmonie joined WIT’s improv program in 2015 and hasn’t looked back!